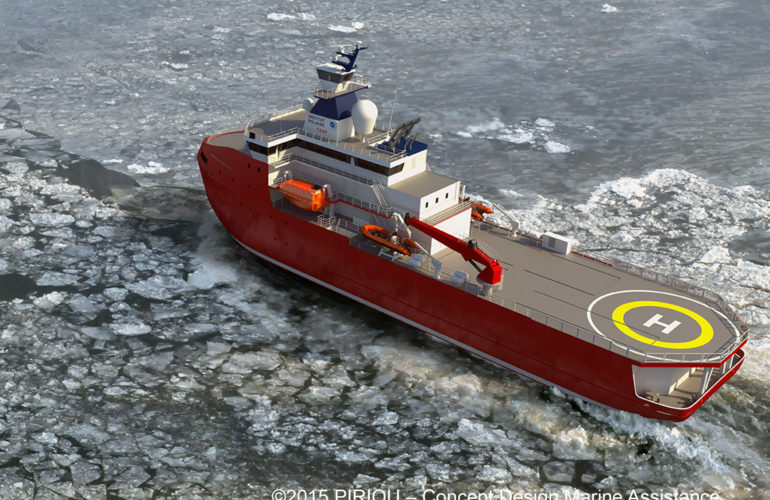 The polar logistics vessel concept was developed by Marine Assistance (France). 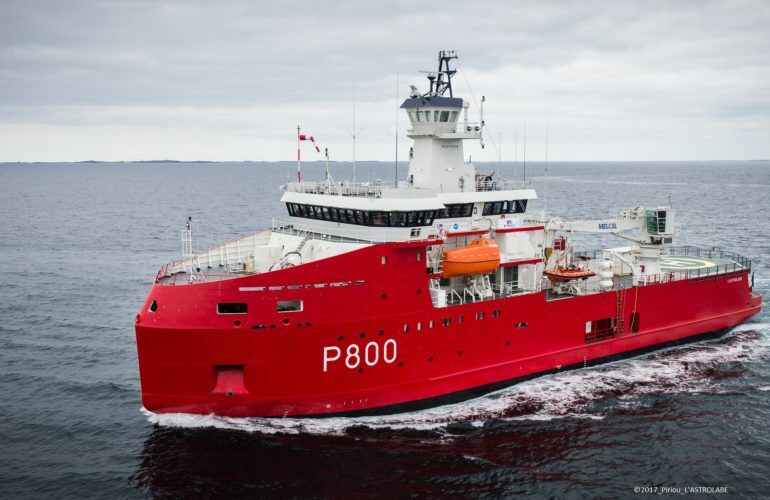 The vessel was built by Chantier Piriou (Concarneau, France) and delivered in 2017. © 2019 Aker Arctic . Crafted by Pixels.